Kuwait has been blessed with a lot of rainfall this year (yes, it is a blessing in its own way). I know that although the rain brings a lot of good with it, it can also be a cause of destruction for many. Some families have been left with damaged houses, vehicles and other valuable possessions. Today I am answering legal questions regarding the rainfall. Questions: Do I have the right to sue the government for damages to my possessions? Fajer: Many readers have been asking this question, and to be honest, I found this question weird at first. Rain is an act of God, yet there have been discussions on suing the government for the damages because of the poor infrastructure in certain areas. This depends on a few things. If your house is damaged because of the poor infrastructure or the roads or an error from the government, for example, no sewage facilities, then you could possibly sue for damages. If the house is damaged because of poor construction by the contractor, ie not to the specifications requested, then you can claim for damages and compensation from the contractor. With the above said, before bringing a claim to court, you will first need prove that your house was actually damaged – this cannot be just with photos. You will need to go to a police station and ask them to come and see the damage and ‘file’ it – this will assist you in filing your case in court. The same applies to damaged cars. Question: I own a business and signed a B2B agreement with another business. I am supplying products to the business, but I could not do so last week because of the rainfall. The business is asking for compensation because of the loss they suffered on the day that I could not supply them with goods. Do they have the legal right to do so? 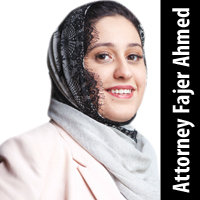 Fajer: Under law, natural disasters or impediments are referred to as force majeure, or may be referred to acts of God. In other words, they are events that are unforeseen and cannot be controlled, and therefore obligations under a contract are exempted. Heavy rainfall can be seen as force majeure. I hope everyone stays safe and that everyone understands that the government is doing everything it can, including the police force and other governmental entities, to ensure everyone’s safety.